Regardless of the business you run, you will need a fast, reliable and accurate checkout system to handle payments. For years now, Cash registers have been a preferred payment processing solution for businesses across the globe. However, an increasing number of businesses today are replacing cash registers with point of sale (POS) systems. Which begs the question, are POS systems better than cash registers? Well, this is a rather relative subject and there is no direct answer for this question. Actually, retailers can use either cash registers or POS systems to track sales and manage payments. The leading POS solutions may have a lot more features and capabilities, beyond handling payments. However, there are scenarios where cash registers are better suited. Throughout this article, you will understand the difference between these two solutions and situations, under which each of them is better suited. 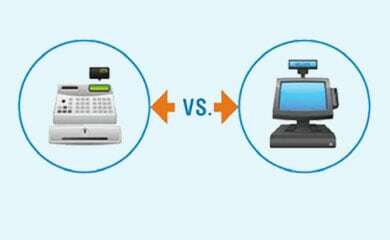 1 POS Systems vs. Cash Registers: Which Is Better? 1.2 Basic Cash Registers: When Are They the Right Choice? 1.3 Cash Registers vs. POS Systems – How Do They Compare? 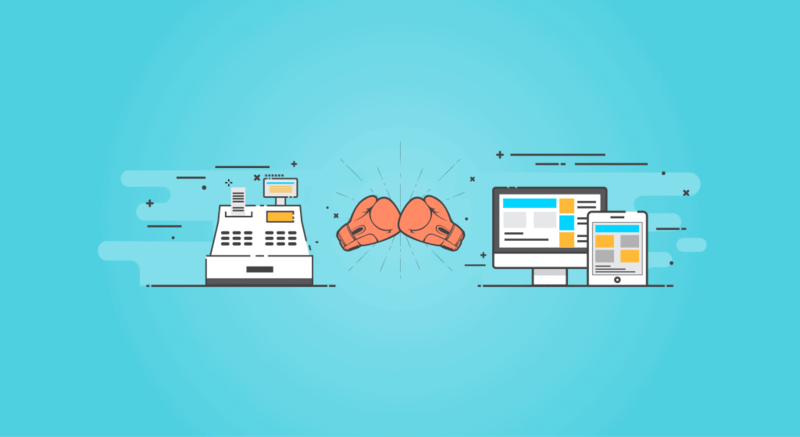 POS Systems vs. Cash Registers: Which Is Better? Before you decide on which of these two options is ideal for your business, you first need to ascertain your business needs. In this regard, you should take time to evaluate the various payment processing and management needs in your business. To help you understand your business needs, here is a checklist you may use. The checklist will help you decide whether to go for a POS system or a cash register will suffice. Point of sale systems are more technologically advanced; hence offer more features than conventional cash registers. However, POS systems still have a cash register for handling the payments. The cash register in these systems is usually computerized. Such computerized cash registers are meant for ringing up sales in a vast array of businesses. Additionally, cash registers in these systems may also be used to track all sales, customer data and inventory, among other aspects of the business. 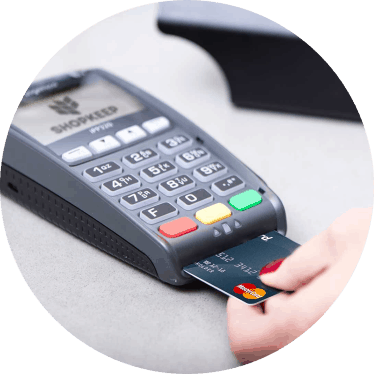 Some of the leading POS providers today are known to offer other hardware components, along with the POS cash register. With such a provider, you will get such hardware options as a receipt printer, barcode scanner, card reader, cash drawer and display screen (s). 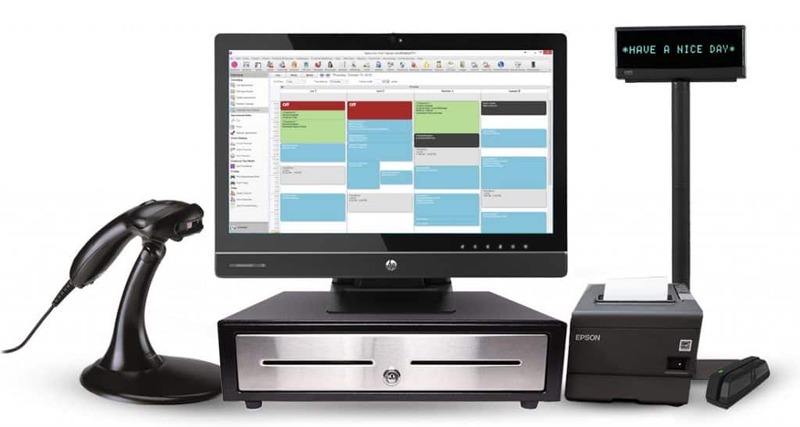 In addition to the hardware components, POS systems require POS software. This software allows business owners and their staff to access POS features and tools from computers, phones or tablets. 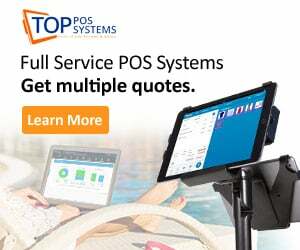 This makes POS cash registers more convenient and portable. In this regard, the customers do not need to walk all the way to the counter to make payments. Such portable cash registers allow your workers to handle multiple payment options from anywhere in you your business establishment. Employee Management – this feature gives you such capabilities as the ability to track tips, commissions, assignments and employee hours. Inventory Management – the register in your POS system will automatically keep track of stock counts, reduce stock numbers in accordance to the sales and give you a detailed report of inventory levels in real time. Customer Data Tracking – stores important customer information and tracks sold items for returns. This, in turn, allows for easier and faster checkouts and targeted marketing. Tax Tracking – some POS system allows you to set tax rates on your menu items. As such, the system will apply the taxes to each and every sale you process. One of the aspects many business owners love about POS systems is that they centralize all important business information. This makes it easier for you to analyze the business, make improvements and manage the business in a better manner. As you can see, a POS cash register is much more than just a glorified calculator integrated to electronic cash till. You may think of such a system as an overall business management solution. Basic Cash Registers: When Are They the Right Choice? As beneficial and advanced as POS systems are, they are not suited for every retail store application. As a matter of fact, there are cases when a basic cash register will suffice. 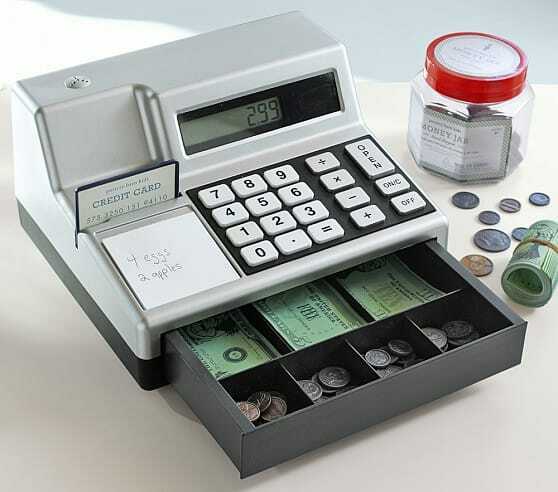 As compared to POS systems, conventional cash registers are cheaper to buy and maintain. Most POS systems available today are cloud based; hence need a connection to the internet for them to work correctly. Cash registers, on the other hand, do not require a connection to the internet at all. If you do not have internet in your location or have a poor connection, a cash register will be the right choice. In such a case, it is advisable to go for a cash register that has a phone line connection. This will come in handy whenever you are processing card payments in your business. There are businesses that do not actually need complex payment processing functionalities. If you happen to have basic payment needs in your business, a cash register will suffice. For instance, you may be in need of a checkout system that can only receive payments. In such a scenario, the cheaper cash registers will do. Such a unit is capable of accepting payments as well as tracking checks and cash sales. With such a system, you can also connect a credit card terminal. This will make it possible for the system to track credit card sales as well. The basic cash register models will also allow you to print receipts, tally daily sales and track your sales taxes. Even with access to modern technology, there are business owners who love using spreadsheets to manage their businesses. If you are such a person, a simple cash register may be just enough. If you have been using Excel spreadsheets in your business, upgrading to a POS system may affect your workflow. In such a case, you can stick to an electronic cash register that has sales reporting and tax capabilities. Again, you can also connect a credit card terminal to the cash register and be able to accept card payments. Let’s just face it, not all people like using tablets and phones at work, much less to accomplish important work-related tasks. In such a case, a good electronic cash register will be a great choice. 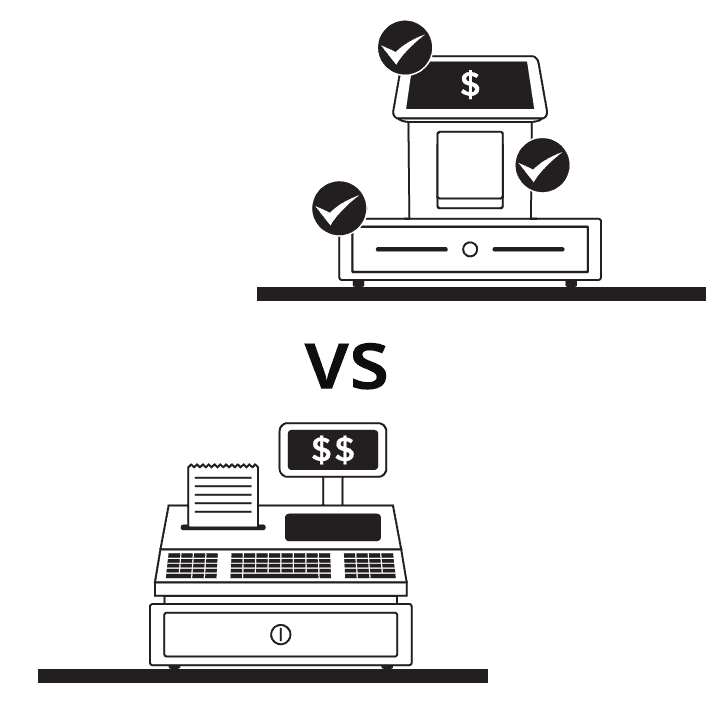 Cash Registers vs. POS Systems – How Do They Compare? Point of sale technology presents innovative and highly-beneficial capabilities for growing businesses. As you have learned above, POS systems can tackle whatever a traditional cash register can. Additionally, these systems are known to offer a horde of additional features to help you run the business more effectively. With such technology at work, continuing to use the traditional cash registers is just a daunting prospect. So, how do cash registers compare to POS systems? Well, almost all traditional cash registers are heavy and bulky. As such, installing one in your store will take up a considerable amount of space. As you may be aware, such hardware also needs to be installed at specific locations within the store, if they are to be plugged in and operational. This being the case, you will find cash registers hard to move around in the establishment or even clean. POS systems, on the other hand, only require minimal space for hardware. Some of the best POS systems today only require an iPad for them to be operational. As such, you will find the various POS solutions to be sleek, portable and lightweight. If you have limited space in your store or would like to have a portable cash register, it is advisable to go for a POS system. With conventional cash registers, you can only get limited information on sales transactions. While some of the modern cash register models may be able to give you more details, they are still limited when compared to POS technology. If you happen to have other revenue streams you need to account for manually, it is clear that a cash register is not enough. The leading POS solutions give you a range of tools to help you synchronize all sales data, from your various income streams. The system will be automatically collecting all the relevant information in real time and compiling detailed sales reports for you. However, not all POS solutions can do this. For analyzing sales numbers, you will need a system with advanced reporting capabilities as well as customizable parameters. 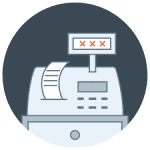 Under normal circumstances, traditional cash registers are known to have minimal problems. Unless you are having technological glitches or have a problem with the mains power in the store, a cash register will work as it should. Unfortunately, this cannot be said of POS systems. As a matter of fact, some of these systems are known to have multiple downfalls. For instance, some POS systems cannot work when the internet is down or slow. This can slow the process to a standstill, which is not good for your business. However, some of the leading POS systems available today have been proven to be capable of working offline. As a matter of fact, some of these systems can even process card payments without any internet connection. As you already know, traditional cash registers do not have any marketing capability. The best POS systems have superior CRM features and capabilities. As such, they are capable of collecting important customer information and store it for later use. Using this information, you market your products and services directly to your customers through email or phone calls. From the data collected by your POS system, you can easily tell which products and services are in demand in your business. Again, you can view the buying trends from the real-time reports generated by these systems. With such capabilities, you will have an easier time developing targeted campaigns. This marketing capability can make the difference, when it comes to growing your clientele. You may not know this, but long lines queues can impact on customer satisfaction in your business. This can even discourage potential customers from coming into your store and the current customers from coming back. This is particularly the case for the hotel and restaurant industry. Conventional cash registers can only process payments at the counter. As such, the customers have to walk all the way to the payment terminal. This, in turn encourages long queues. To combat this, you should invest in the best iPad or tablet POS system. With such a system installed in your iPad or tablet, you can bring the cash register to the customer wherever they are in the store. This solution has been proven to cut on waiting time and turn tables faster for restaurant owners. If you only own a small store in a remote plate and do not have the slightest desire to grow the business, a modern cash register may be just enough. However, such a solution may not suffice for the more ambitious business owners in this competitive market. To gain a vantage point over your competitors, it is advisable to invest in the right technology. As you have seen, the right POS technology has a lot to offer your business, in terms of payment processing, reporting, management and analysis.